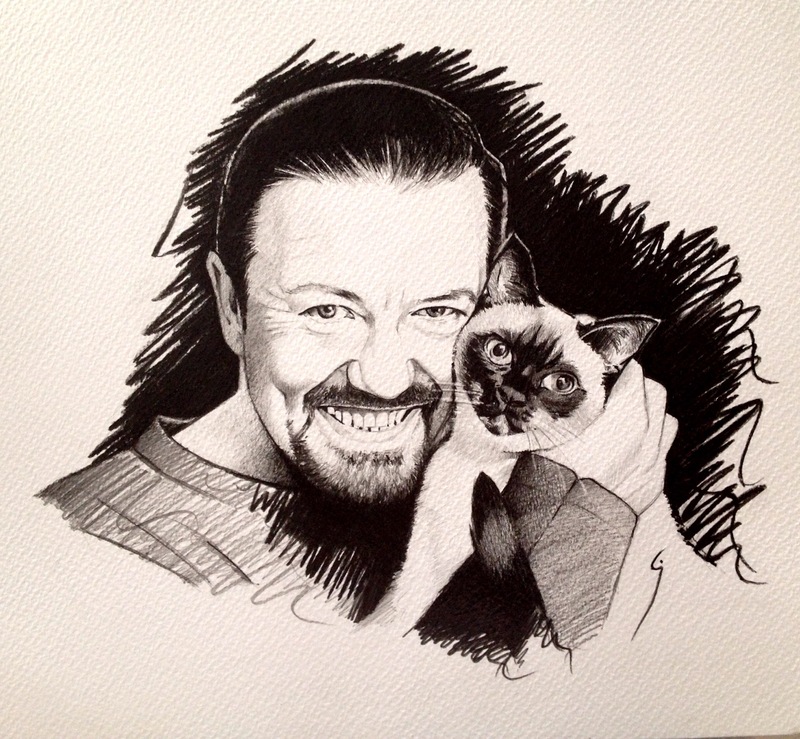 What’s Up with Ricky Gervais? Starting his career during the 1980s, Ricky Gervais is a well-known actor, comedian, director, musician, producer, singer, and writer. Turning 57 on June 25th of this year, Ricky has entertained audiences across the globe over the years while winning several awards throughout his professional career. Many would consider him a comedic genius with an unconventional style. At times he’s flamboyant but his personal life tends to lean towards the counter-culture hippy existence. He’s an extraordinarily talented human being that cares deeply about humanity even though his demeanor often insinuates the contrary. Over the course of his professional career, Ricky Gervais has won 7 BAFTA Awards, mainly for the British super-hit comedy sitcom The Office, which aired from 2001 to 2003. 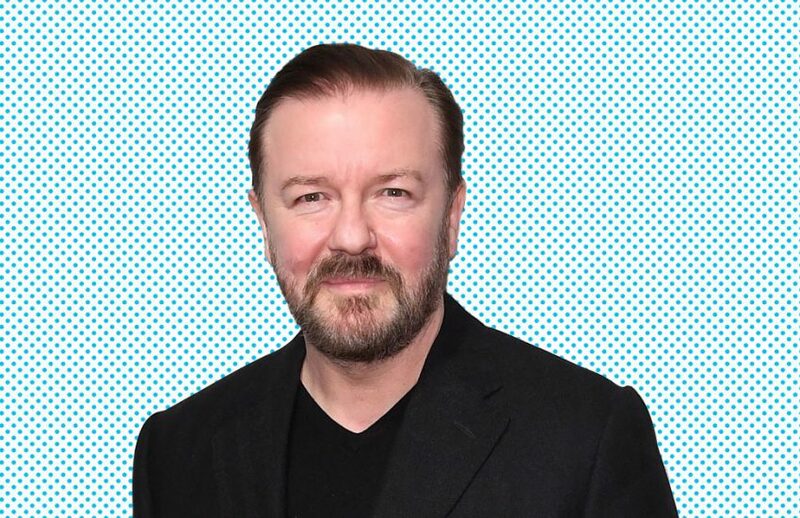 Ricky also won 5 British Comedy Awards for his contributions to The Office as well as another British sitcom, Extras, which aired from 2005 to 2007. Ricky has been nominated over a 100 times for various awards for his outstanding contributions to entertainment. So far, he has managed to win over 30 awards, including 2 Emmy Awards, 3 Golden Globe Awards, and a Screen Actor’s Guild Award. In 2007, he was also voted one of the 100 Greatest Stand-up Comedians and later was selected as one of Time Magazine’s 100 most influential people in the world. 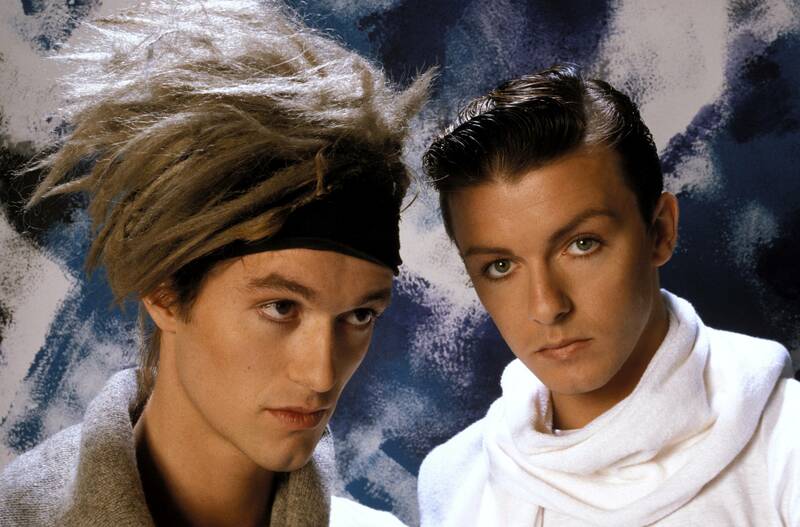 Ricky was born on June 25th, 1961, at Battle Hospital in Berkshire, England. He initially wanted to study biology as his major in college at the University College London, but changed to Philosophy early on and went on to earn an honors degree in the subject. This is also where he met Jane Fallon, the top novelist of her time, with whom he has been in a relationship since 1982. Oftentimes, this leads people to suggest that Jane is where Ricky gets his sharp wit from while performing. 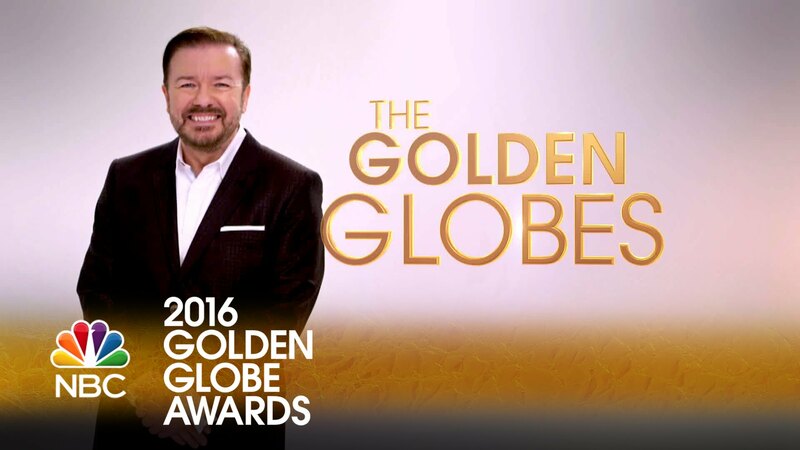 Perhaps one of the most recognizable achievements which Ricky holds to this day is to be chosen as the host of the Golden Globe Awards for three consecutive years from 2010 to 2012 and finally hosting it for the fourth time in 2016. Though Ricky owns three Golden Globe Awards himself, it was quite clear in his final remarks during the 2016 show that the artist felt the spirit of the show was not quite what it used to be. He may have become too accustomed to the show after hosting for the fourth time, nevertheless, he did show his disappointment at not being selected as the host this year. It was obvious that Ricky was jealous of Seth Meyers hosting this year’s Golden Globe Awards show which he mentioned to Stephen Colbert on a recent visit to The Late Show. He is undoubtedly a champion of humanity, regardless of the fact that he’s said he’s offended by others when out at a restaurant and they eat too loudly or if they look at him differently. His undying will to support human rights landed him at a charity boxing match in 2002 against Grant Bovey. 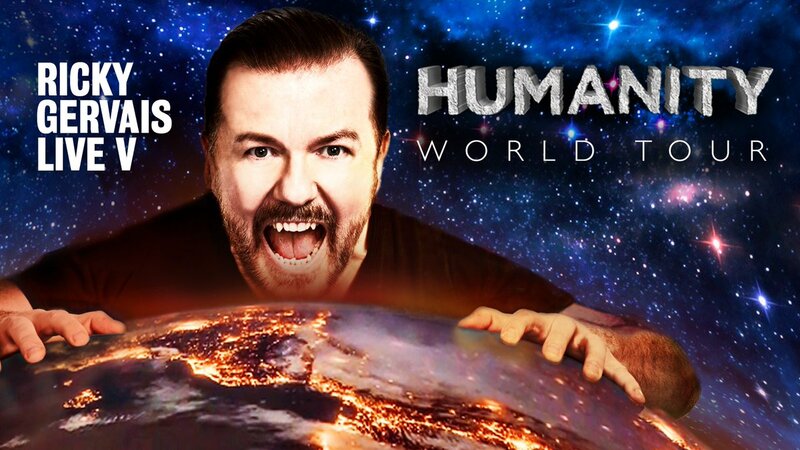 Ricky is also a staunch observer of animal rights, and together with his partner Jane, they share a cat named Ollie which was gifted to them by popular media personality Jonathan Ross during one of his shows. And although Ricky is an atheist, that doesn’t stop him from being one of the best people on the planet. Religion is a private matter and we would like to keep it as such. One of the best stand-up comedians in the UK, with tickets selling out within minutes after announcements, Ricky Gervais is a marvel to watch when he is performing his routines on the stage. It was during 2013 in which he announced his latest stand-up comedy tour, naming it ‘Humanity’. The show went throughout 2017 and into 2018 much to the audiences applaud. The venues for the tour included: Cambridge Corn Exchange, Ipswich Regent Theatre, Nottingham Motorpoint Arena, and Hammersmith Apollo. Earlier, Ricky also made an appearance on the famed Graham Norton Show during the 20th episode of the 20th season on the 17th of February 2017. Releasing this year on the 10th of May, Blazing Samaria is an American animated movie starring the voice talents of Ricky Gervais as the main antagonist of the movie, a sneaky bad cat by the name of Ika Chu. The plot of the animated adventure revolves around a dog named Hank who learns to be a samurai in order to protect the fictional town of Kakamucho from the sinister plans of Ika Chu. The film was set to be released earlier, however, due to some technical difficulties the date was shifted from January 2018 to May 2018. We hope you enjoyed our thoughts on this outstanding comedian/humanitarian, and if you wish to enjoy more of his work on television then sign-up for cable TV services through Digital TV Bundles. Enjoy over 400 channels of pure entertainment from an incredible service provider. Check us out today to receive the best in-home entertainment services and exceptional 24/7 customer support to answer your questions and resolve your issues any time of day. Next Post:Who will (and Should) Win at the Academy Awards?